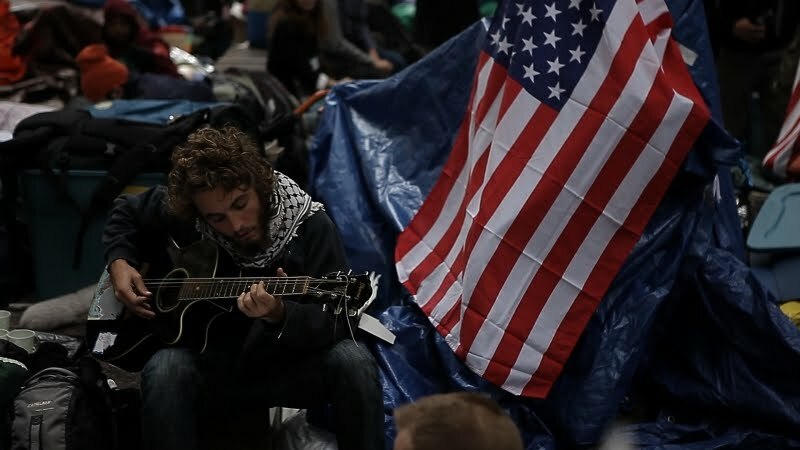 Chopin Theatre provides a forum Wednesday, April 25, for "#whilewewatch," a film about the Occupy Wall Street social media team. With little money, protesters rallied support via Twitter, texting, Wi-Fi, posters, Tumblr, live streams, YouTube and Facebook. Following the 38-minute film, director Kevin Breslin will tune in via live feed. The free event is at 7 pm on Chopin Theatre's main stage, 1543 W. Division St. Donations go to Occupy Chicago. Free parking at Holy Trinity Church, 1118 N. Noble St.
Coming May 23 and 24: "Theatre of War," an artistic investigation of the contemporary disconnect between citizens and those directly affected by war. The event follows the NATO summit in Chicago and aims to raise funds for the Vet Art Project.